Experience The best of Japan in Tokyo, Kaga-Onsen, Kyoto, Okayama, Hiroshima and Osaka. 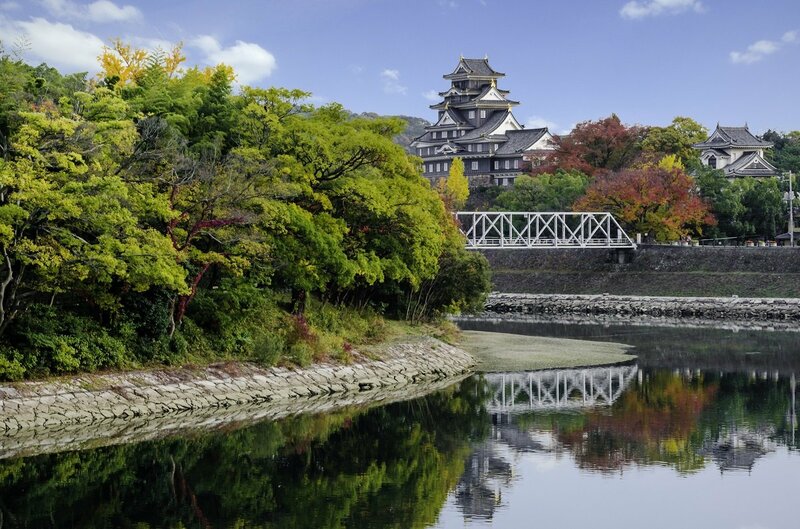 In our “The best of Japan” tour, we offer you the most famous sights and some hidden gems. Your route from Tokyo to Kanazawa, Kyoto, Okayama, Hiroshima and Osaka, will over the course of 18 days offer you a near-complete glimpse into the culture, history and modern day of Japan. You will experience skyscrapers, modern architecture, old cultural towns, gorgeous wooden castles, living geisha districts, the Hiroshima Peace Park and the Atom Bomb Dome, as well as a look at some Japanese Zen gardens. You travel by high-speed trains or bullet trains from city to city, as this is the most efficient way to get around. Trains and stations in Japan are an experience all to themselves; everything works like clockwork, and delays are unheard of. Food in Japan is excellent. The Japanese eat plenty of vegetables and prefer fish and shellfish to meat and poultry, and this is reflected in their menus as well. In the bigger cities, there are of course a wealth of international restaurants to choose from too. No matter which part ends up being your own highlight, the tour is quite simply an incredible experience in one of the greatest cultures of the East. Departure from selected airport in the UK. There may be connecting flights on the way. This first evening is set aside for a welcome meeting, where you can direct some questions to your local guide, who will also be bringing you your Japan Rail Pass. You also get an IC card, which is an electronic travel pass that can be used on local buses and trains in many cities throughout your tour. The card comes preloaded with 2500 JPY, and adding more money is easy to do if you should need to. You are picked up at the hotel in the morning. 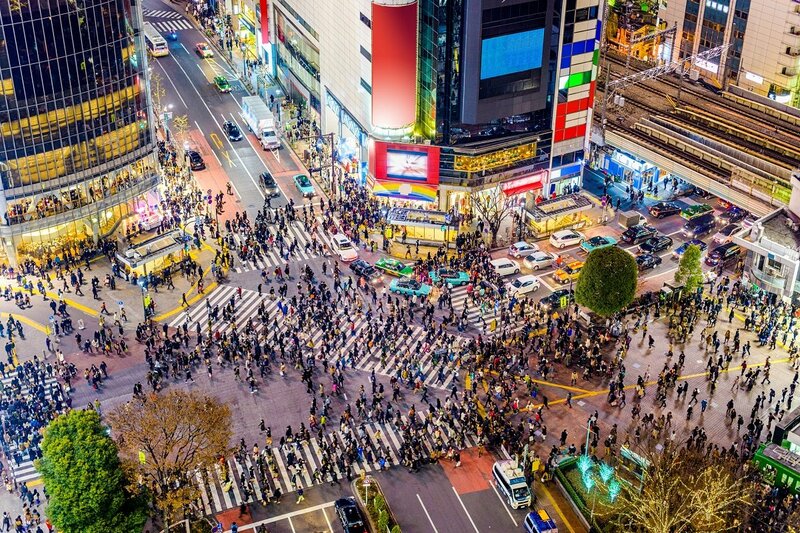 This day is set aside to give you an overview of some of Tokyo’s different districts. The tour starts in Asakusa. 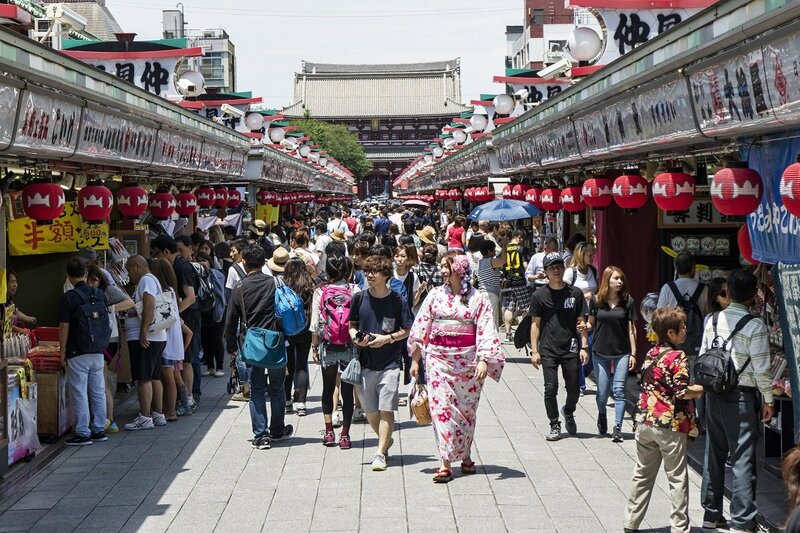 Asakusa was once Tokyo’s biggest entertainment district. This is where the geisha lived, side by side with gangsters and pickpockets. The whole area was destroyed during World War 2 and has been rebuilt at a smaller scale, and most of the geisha are here for the tourists’ sake. But you can still experience its history today, as you walk through these streets. The contrast can be felt quite clearly, just as it can be felt all over Japan – the contrast between the old and the ultra-modern. 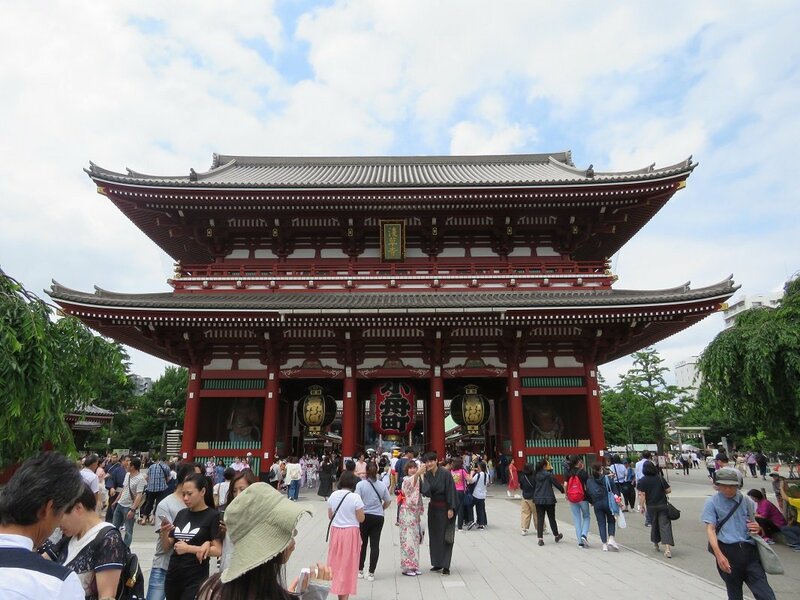 Asakusa is also where you can find the oldest temple in Japan, Sensoji Temple. Sensoji is the oldest temple in Tokyo, and for many Japanese people, coming here to light incense is of profound importance. Nakamise street leads up to Sensoji Temple. Nakamise consists of souvenir shops and food stalls, and the street offers great opportunities to buy traditional souvenirs. The tour of Asakusa finishes up at Kappabashi Kitchen Street, which can offer you everything in kitchenware. Perhaps you can find yourself a useful souvenir in the form of a new kitchen implement? After lunch, you will visit Shibuya. You probably already know Shibuya – at least from photographs. This is where the pictures of the massive crossing packed with pedestrians, surrounded on all sides by neon lights, come from. It is also one of Tokyo’s busiest shopping districts, and it is one of the places you MUST experience when you visit Tokyo. From here, you head to the Harajuku district with its famous Takeshita Dori street, a fashion mecca for young Japanese people. 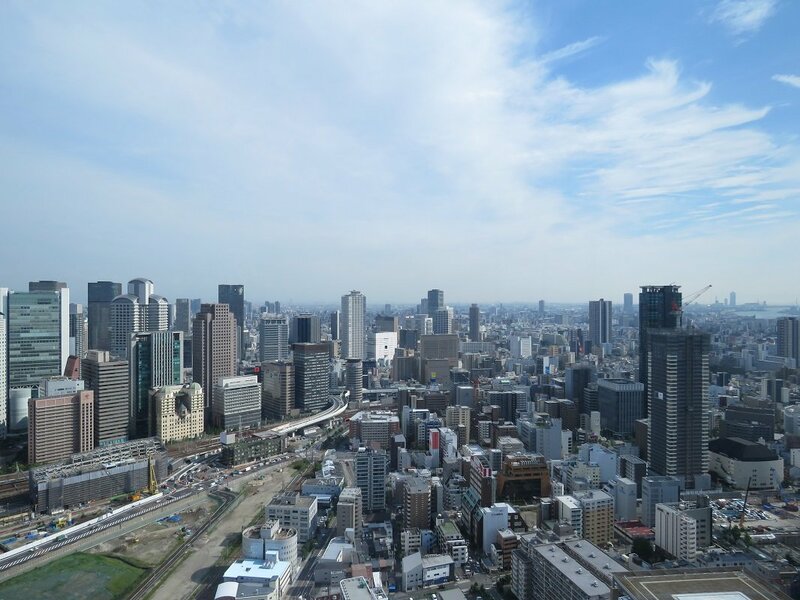 The day finishes with a great view – from the 202-metre viewing floor of the Tokyo Metropolitan Government Building. On a clear day, you can see all the way out to Mount Fuji. The day is at your disposal – perhaps you saw something on yesterday’s tour you’d like to explore further? You have your travel pass, so feel free to move around as you please. A visit to Tokyo’s legendary fish market, the Tsukiji Outer Fish Market, is practically a must– as long as you don’t mind an early start! 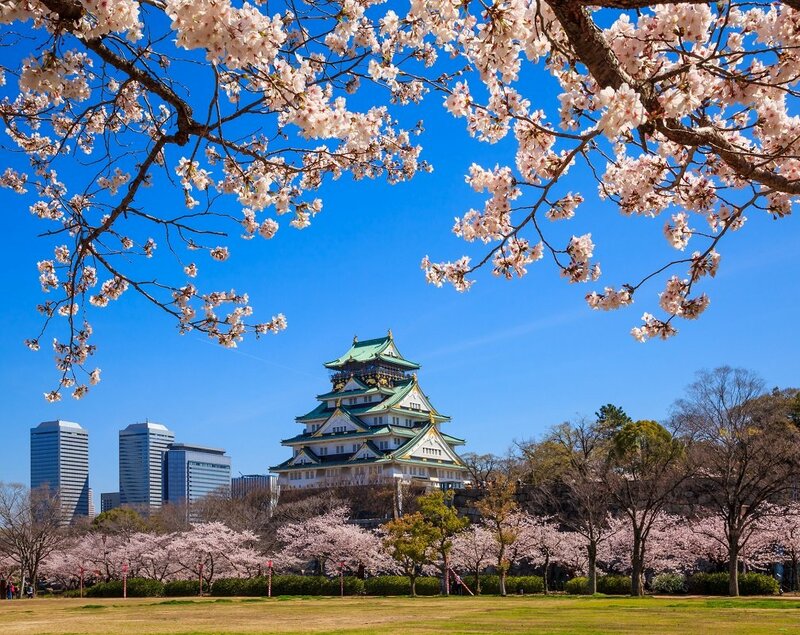 If you need a break from the bustling city life, feel free to visit the Hamarikyu Gardens, where the calm stands in stark contrast to the hustle and bustle of the city streets. In the afternoon, you can head to Shinjuku, home to some of the best restaurants in the country. Perhaps you could conclude the evening with some karaoke in the style of “Lost in Translation”? You could also use your travel pass and make a slightly longer trip to Nikko, Kamakura, Yokohama or other destinations. You also have the option of adding an excursion on this day. The guide will take you from the hotel to the station, where you take the high-speed Shinkansen bullet train to Kanazawa. The 450 km distance zips by in just 2 and half hours at speeds of up to 300 km/h. The bullet trains pull 6, 8, 12 or 18 cars. The information signs at the station show how many cars each train is pulling. The information signs also switch between Japanese and English. When you are down at the platform, the platform itself is marked to show you exactly where your car will arrive. Icons are painted on the platform, e.g. “6 cars – car 5” or “12 cars – car 3”. So once you get an eye for the system, it’s very convenient. The Japanese furthermore have a wonderful queuing culture. You neatly get in line at the relevant platform icon, and walk calmly and quietly into the train in the same order you arrived in – no rushing ahead or jumping the queue! Trains run very punctually throughout Japan, and delays of more than a few minutes are exceedingly rare, becoming a major topic of discussion both on the train and in national news on television and the radio when they do occur. 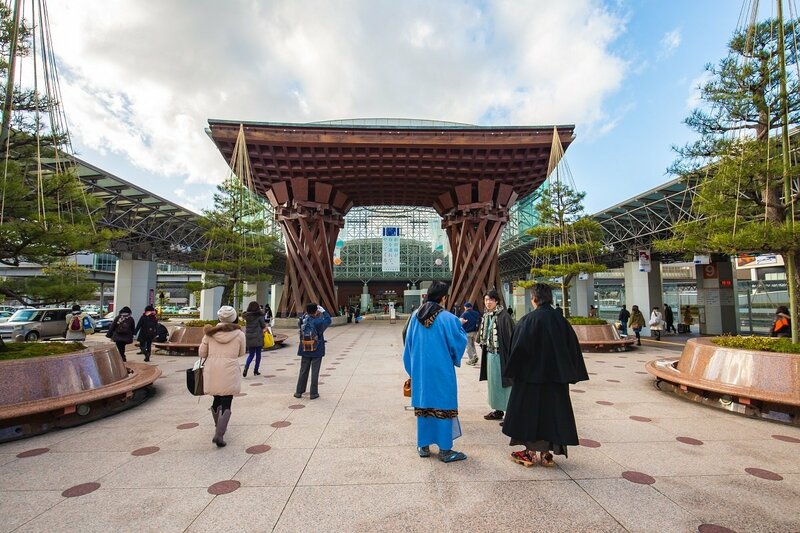 A guide will be waiting for you at Kanazawa station to accompany you to the hotel. After check-in, the guide will take you on a guided tour of the city, using the public bus network to get around. The first stop is Terashima Kurando’s samurai villa. Kanazawa is known as the samurai stronghold and was, in their day, one of the richest cities in Japan. Kanazawa is also one of the few Japanese cities to have been spared from the bombs of World War 2. 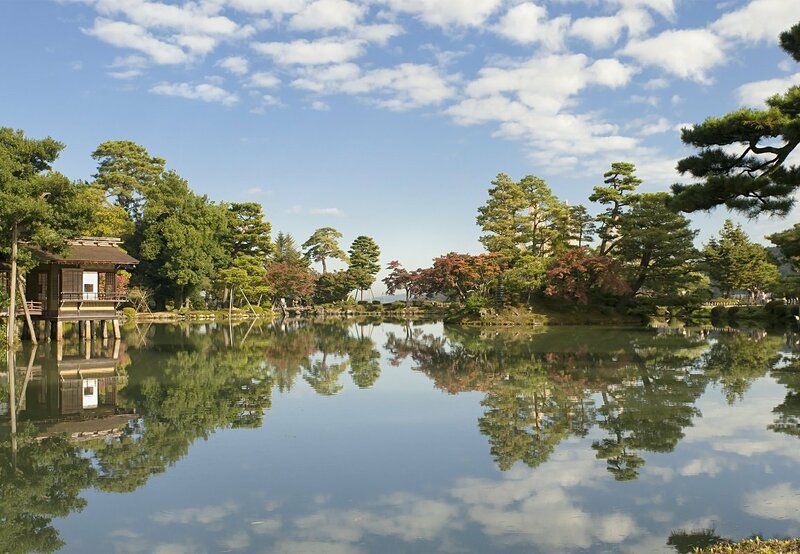 After the samurai villa, you will visit the almost 400-year old garden, Kenrokuen, which is one of the three most famous gardens in Japan. There is no limit to its perfection. The day concludes with a visit to the museum of the Zen master D.T. Suzuki’s museum, where you learn more about Zen Buddhism. In simple terms, you could say the currently very popular trend of mindfulness stems from Zen Buddhism. So what could be more appropriate than rounding the day off with a spot of mindfulness in the museum’s Water Mirror Garden? 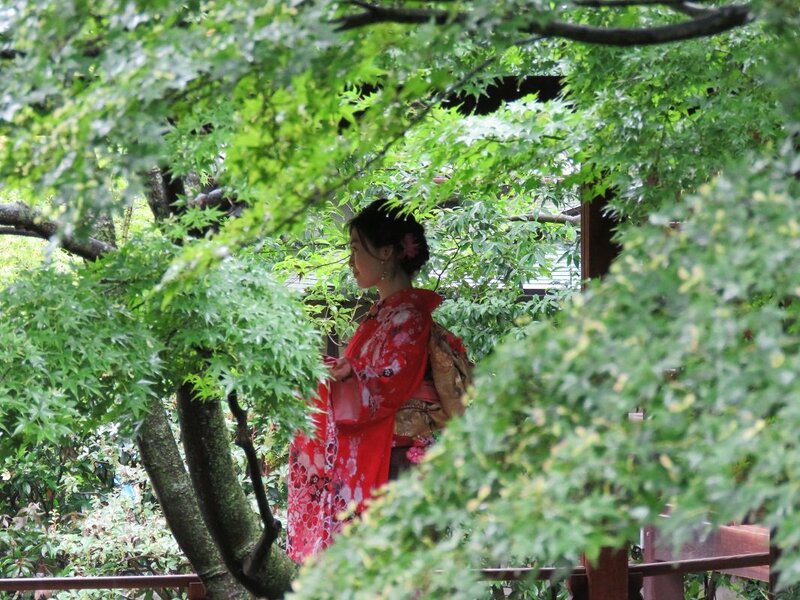 The day is at your leisure to explore Kanazawa. Most of the sights of the city are in walking distance. You can also choose to purchase an excursion. You can visit three of Kanazawa’s active geisha districts, Higashi Chayagai, Nishi Chayagai og Kazuemachi. As previously mentioned, Kanazawa wasn’t bombed during WW2, so many beautiful, original buildings have been preserved here. In the winter season, protective straw mats are placed against the walls to protect them. Eat breakfast in the merchant district of Owaricho and visit the famous Omicho market, where food products are neatly arranged and presented like small works of art. 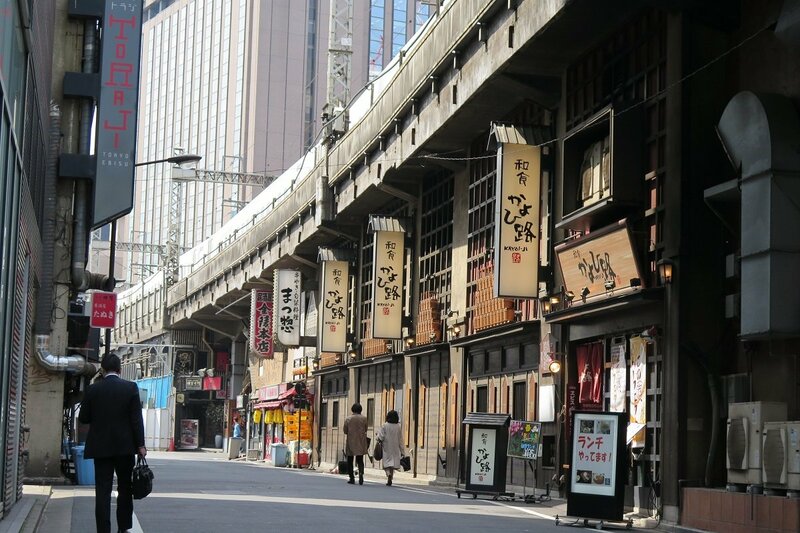 Take a walk through the old samurai district and take in the city’s unique atmosphere. Along Hirosaka street, you can find exclusive bowls made with lacquer, ceramics or a unique type of porcelain, kutani-yaki. You can find everything from traditional designs to modern versions with “Hello Kitty” characters. In the southern end of the city is a ninja temple, heavily fortified using all the tricks of the trade. Here you can explore hidden passages and secret rooms. 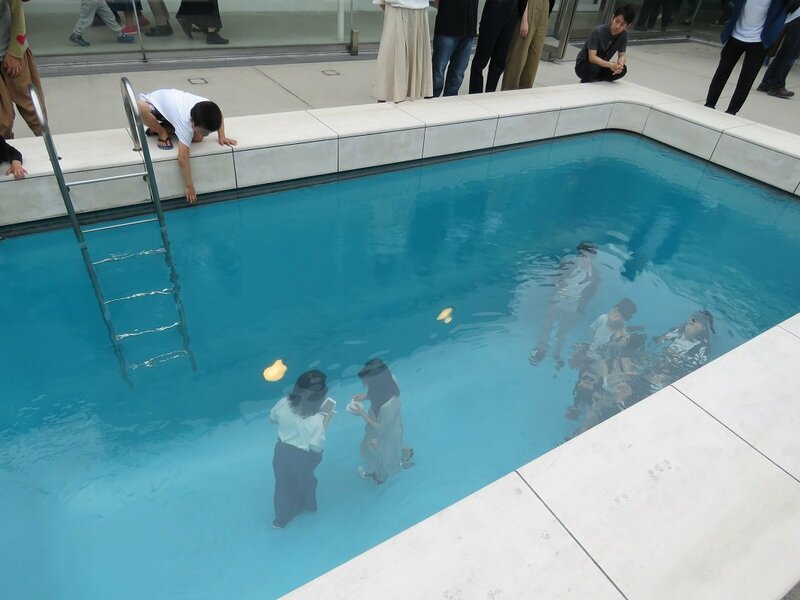 Our last recommendation here is for an activity that stands in stark contrast to the rest of the Kanazawa experience: a visit to the 21st Century Museum of Contemporary Art. 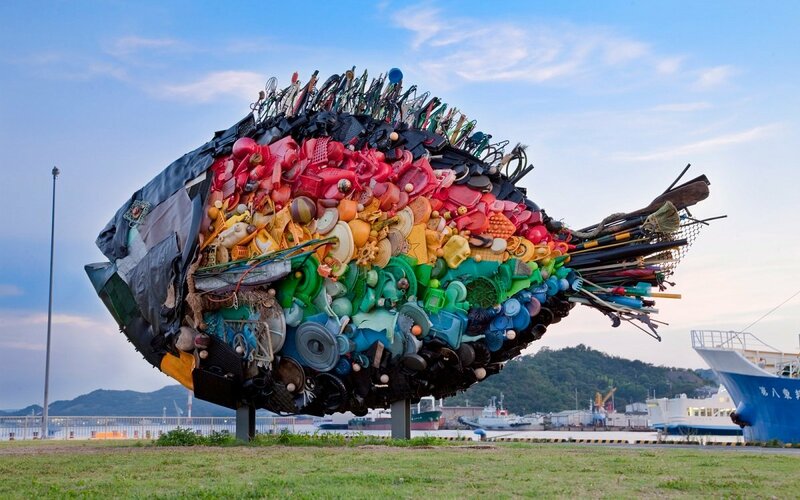 Here you will only find art and installations made after 1980 – from both Japan and around the world. Today, you say goodbye to cosy and charming Kanazawa. 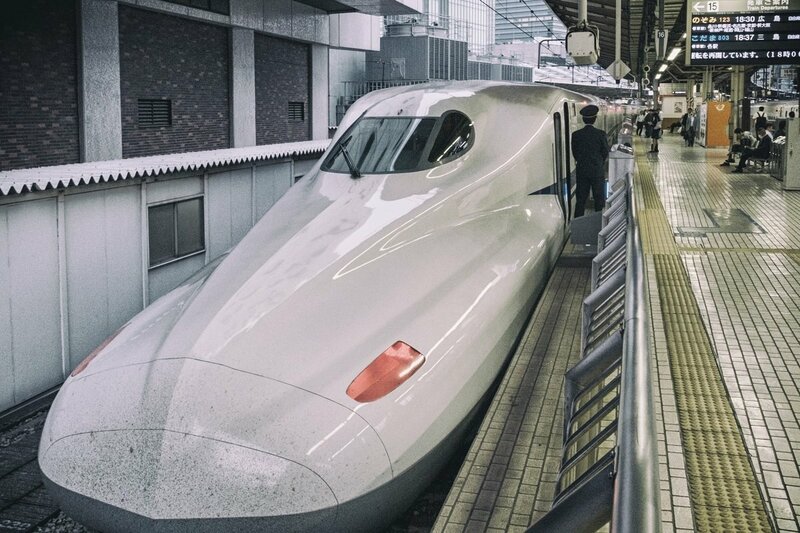 You check out of the hotel and make your way to the station, where you will travel by the Limited Express Thunderbird train to Kyoto – a 2-hour ride. On your arrival in Kyoto, you will be met by a local guide, who will help you get to your hotel. The rest of the day is your own to explore the city, which known for its wonderful and very famous sights and UNESCO World Heritage Sites. You can simply walk the streets and take it all in. 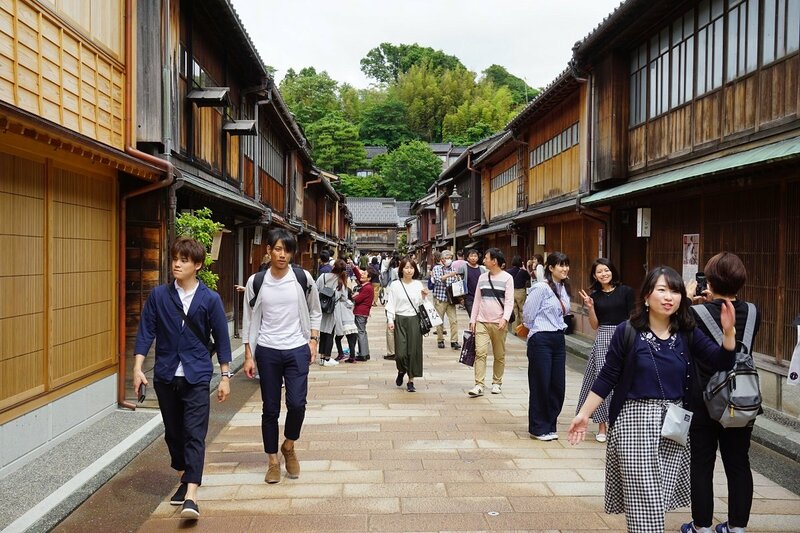 You will soon discover that there are many Japanese tourists in Kyoto, and one of the popular activities here is to dress in a traditional kimono for a day – and this goes for men and women alike. They are wonderfully colourful, and young people in particular clearly find it a lot of fun. The day is spent at your leisure. 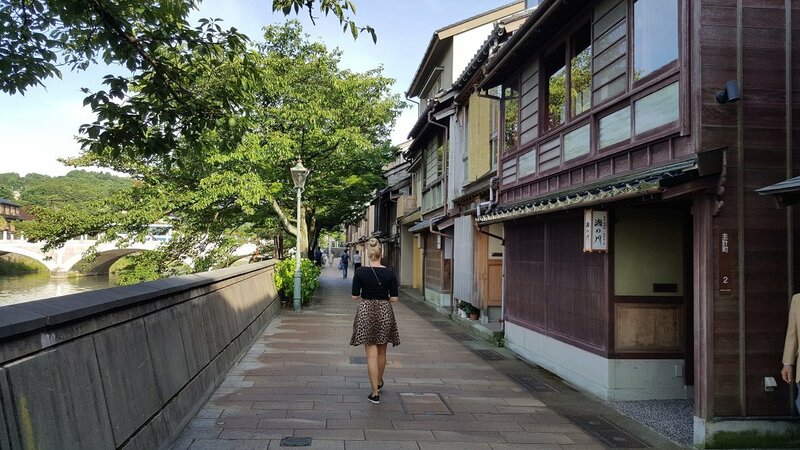 Kyoto has so much to offer that it’s hard to know where to start! 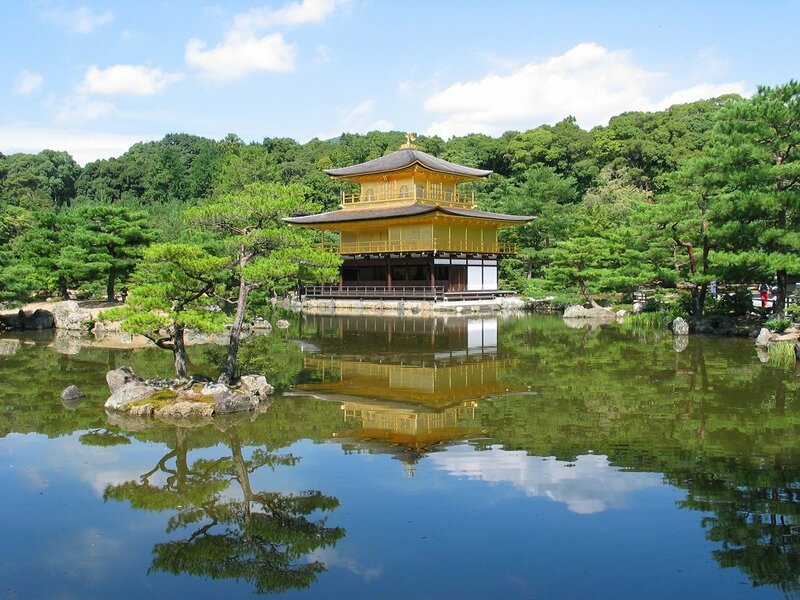 One attraction that is a must on your visit to Kyoto is the Golden Pavilion, Kinkakuji. The facade of the three-storey building faces the lake, making it a breathtaking sight when the light hits the building and casts a reflection in the water. The pavilion was built as a private estate for a shogun in around 1400 and later repurposed as a Zen temple. In 1950, the building was burned down by a monk, but was rebuilt a few years later. The pavilion is no longer a temple, but it is probably the most iconic symbol of Kyoto. After the Golden Pavilion, you head to Nijo Castle, which is surrounded by a beautiful ornamental garden. The beautiful castle dates back to around 1600 and is famous for its richly decorated sliding doors and its “Nightingale floor”, which creaks when someone walks on it. That way, the Samurai could defend their shogun against ninjas. Nijo Castle was the residence of the local shogun until 1867, when Emperor Meiji abolished the ancient feudal system. 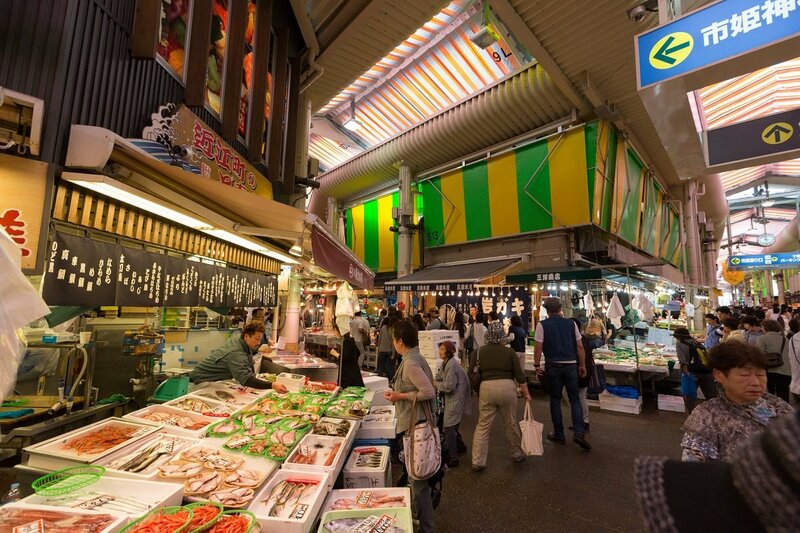 When hunger strikes, you can visit Nishiki market, which is a narrow shopping street lined with more than 100 shops and restaurants. The lively street is also known as “Kyoto’s kitchen” and specialises in all things culinary. 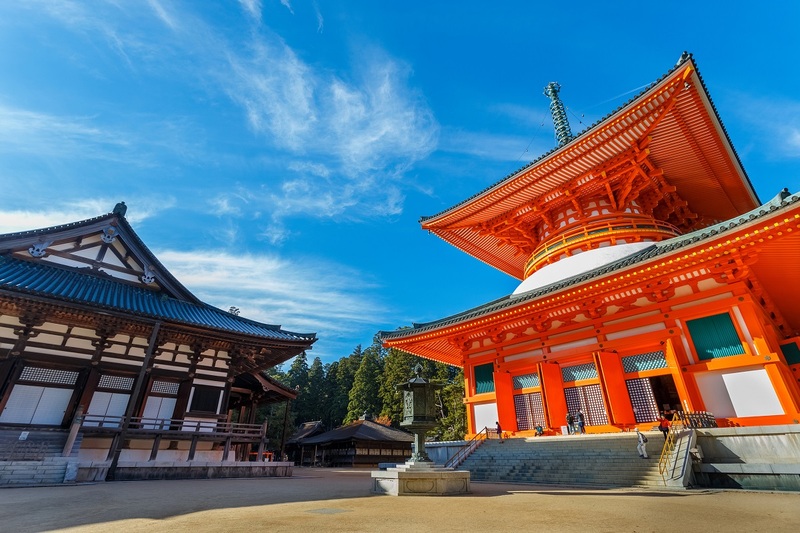 If you are up for more sightseeing, you can round off the day at the Heian Shrine, which was built to mark the 1,100th anniversary year of the founding of Kyoto as the capital. The orange-red Heian Shrine is dedicated to the spirits of the first and last emperors that ruled the city, Emperor Kammu and Emperor Komei. Some years later, an almost 25-metre-high and 34-metre-wide gate was built to mark the entrance to the shrine area, a so-called “torii” (sacred gate). The beautiful garden Shin-en, which was designed and created by Ueji VII in 1895 is also found at the Heian Shrine. Small, narrow paths lead you through the garden past all the pretty flowers, including the blue hydrangeas and the breathtaking fish pond with its colourful irises and waterlilies that form the perfect backdrop. This is also where you will find the beautiful wooden bridge, Taihei-kaku, which was given to the shrine as an imperial gift. Sit on a bench and enjoy the tranquility and the view of the flowers after a day packed with experiences. The day is yours to explore Kyoto on your own. 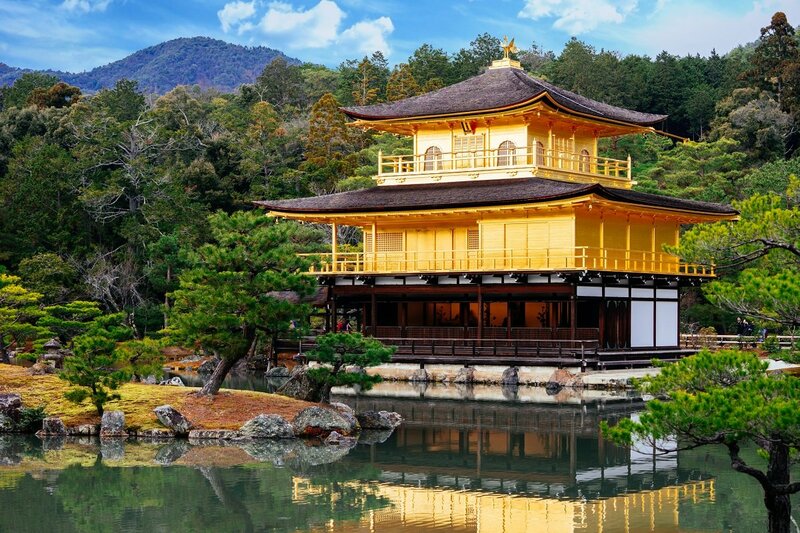 You might like to start with Ginkakuji, also known as the Silver Pavilion. 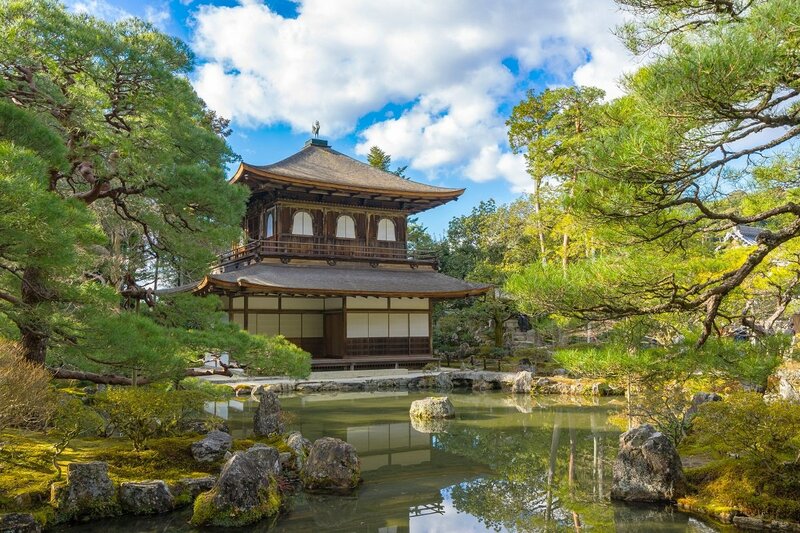 The Zen temple was originally built as a shogun’s private villa and is situated in the most beautiful gardens. 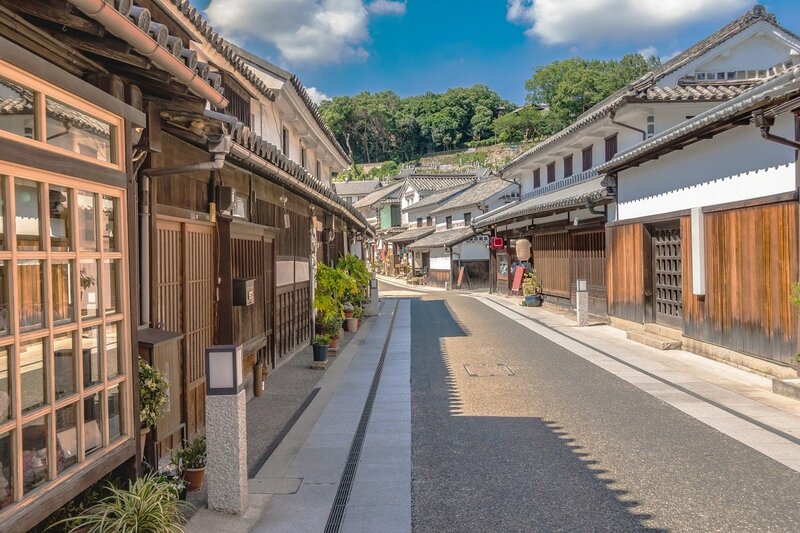 The road up to Ginkakuji is narrow and pleasant, with numerous cafés and small shops. It is also usually possible to buy a ride in rickshaw. You can walk along the Philosopher’s Walk through the northern section of the Higashiyama district. 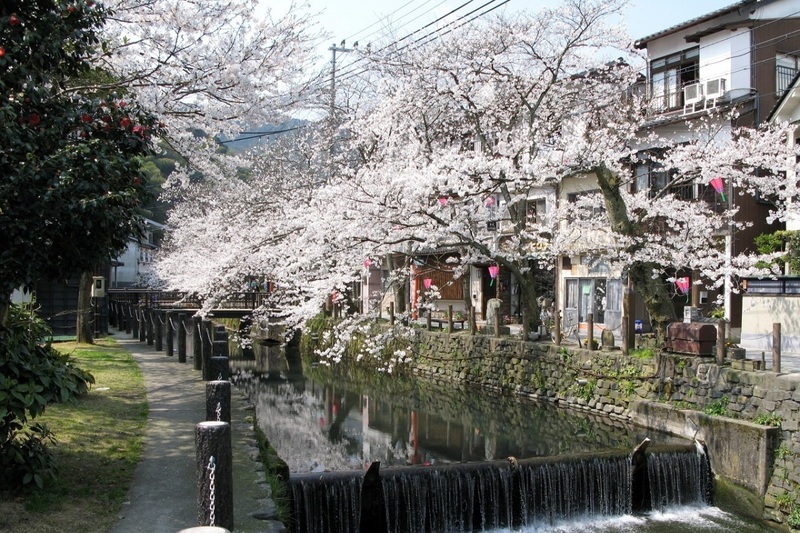 The Philosopher’s Walk winds along a canal planted with hundreds of Japanese cherry trees. During the blooming season, it is a very popular place. The next stop could be the Yasaka Shrine, founded more than 1,300 years ago. South of the Yasaka Shrine is the Zen temple, Kennin-ji. Kennin-ji was founded in 1202 by the Buddhist monk Eisai. The temple is considered one of Kyoto’s five most important Zen temples and is the city’s oldest. See Japanese tourists come here to be photographed in their lovely kimonos. The most wonderful serenity abounds here amidst beautifully landscaped gardens with stone, moss and gravel. The gardens are ideal for meditation as the carefully laid out stones help create a sense of peace and harmony, so the mind is not distracted by all manner of plants. 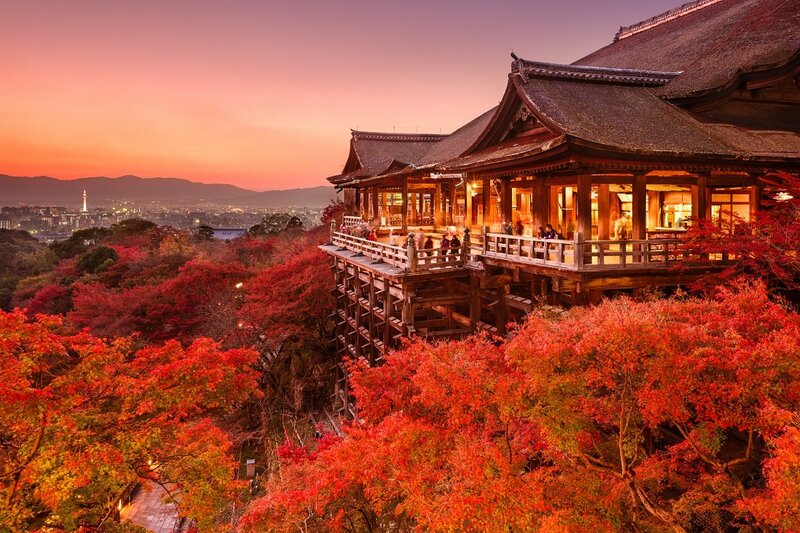 As a final suggestion, you could visit the Kiyomizu Temple, which is located on a hilltop. The impressive, beautiful temple building is three storeys high and built with mortise and tenon joinery. The temple has a large terrace, which affords a formidable view of Kyoto. Behind the temple is the Jishu Shrine, home to the God of love and marriage. For this reason, many young Japanese people come here to pray for luck in love and a good marriage. If you have not already done so, you could take a trip to Nara, which is located south of Kyoto. Nara was the capital of Japan for 74 years in the 8th century. Some of the buildings in Nara date back to that time. 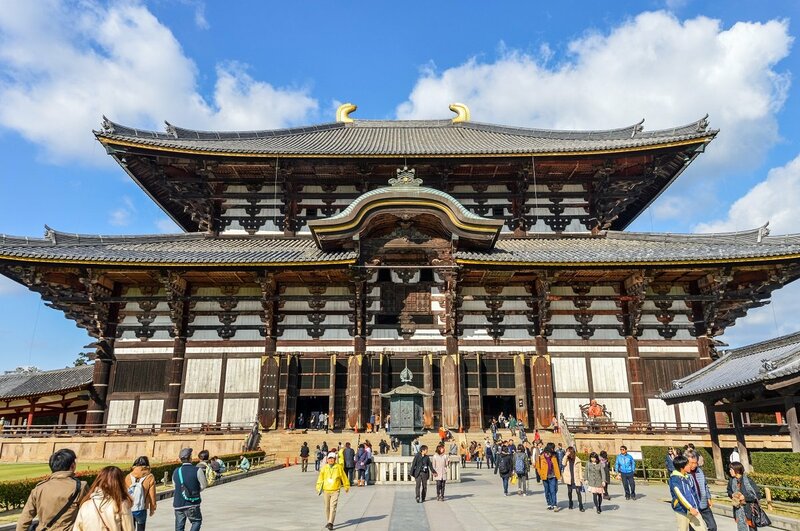 You can visit the Todai-ji temple, which houses Daibutsuden (= Big Buddha Hall) and is considered to be the largest wooden building in the world. It also houses Japan’s largest Buddha. Around the Todai-ji Temple, you will see hundreds of deer which are almost tame. There are other significant temples such as Byodo-in Temple, famous for its Phoenix Hall, which adorns the back of the 10-yen coin. You can also visit the Kasuga Taisha Shrine, famous for its hundreds of bronze and stone lanterns donated by believers. 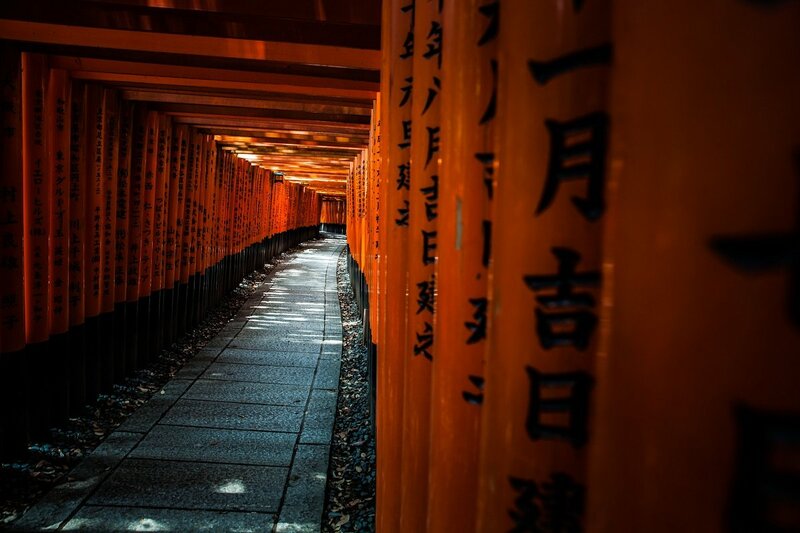 On your way back to Kyoto, you might like to visit the Fushimi Inari Shrine, which achieved international fame in the film “Memoirs of a Geisha”. The paths to the shrine are flanked by orange-red gates, which form a long pergola. The gates have been donated by many different people, and the donor’s name is written in black symbols on the gate. The place exudes a quite unique ambience, with its 10,000 or so orange-red gates. You travel 220 km by Shinkansen from Kyoto to Okayama, which takes 90 minutes. The day is at your disposal in Okayama. Okayama is a big, modern city with over half a million inhabitants, but the biggest attraction has nothing to do with the metropolis. 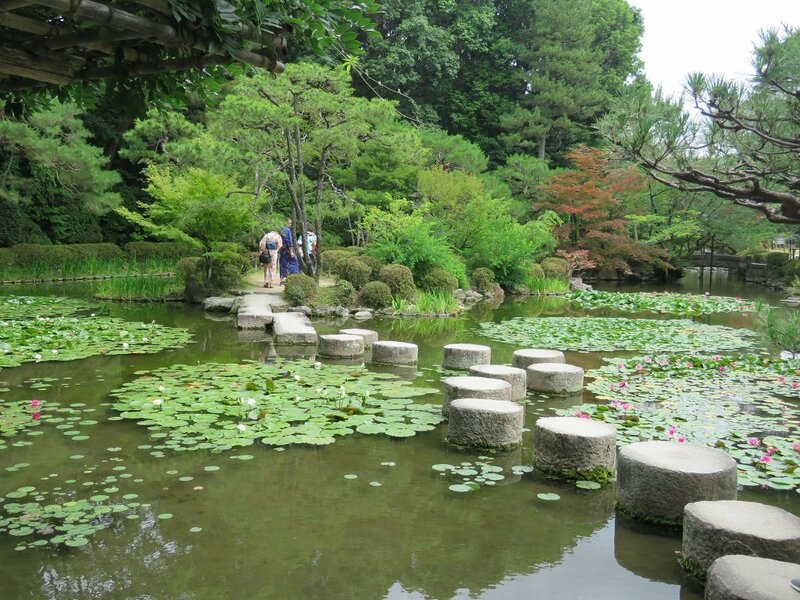 In Kanazawa, you saw one of Japan’s three most famous gardens, Kenrokuen. The second of these, Korakuen, can be found in Okayama. There are big fields, lakes, small wooden houses and some more rice paddies and tea plantations. 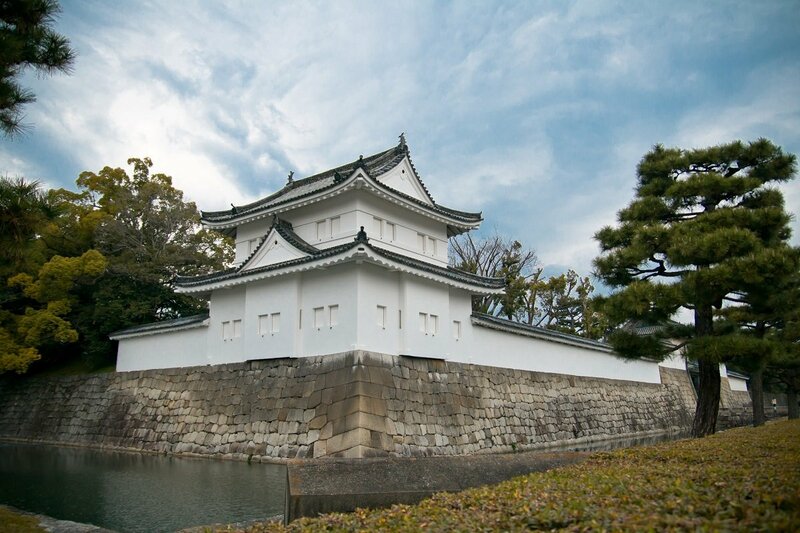 Another major attraction in Okayama is the beautiful Okayama Castle. “The Crow Castle”, as Okayama Castle is nicknamed due to its black exterior, was built in 1597. The original castle was destroyed during World War 2, but the castle was fully reconstructed in 1966. In the district of Kurashiki is a network of well-preserved canals with old warehouses lined up along their banks. Today the warehouses have been converted into museums, cafés and shops. It’s absolutely lovely to take a walk here, or to sit down at one of the cafés and enjoy your surroundings, and a sail trip along the canals is practically a must. The small island of Naoshima can be found in the inland sea off of Okayama. This island is particularly well-known for its spectacular architecture, sculpture and its many art museums. Today you will take a full-day guided tour of this little island. Aside from the art, the island offers an almost Mediterranean atmosphere with its white, sandy beaches, delightful climate and a beautiful and soothing “island feel”. The art is the highlight here, and included in your ticket is a visit to both the Chichu Art Museum and the Benesse House Museum. There will also be plenty of time to just enjoy the island – perhaps you’d like to rent a bicycle and explore its more distant corners? 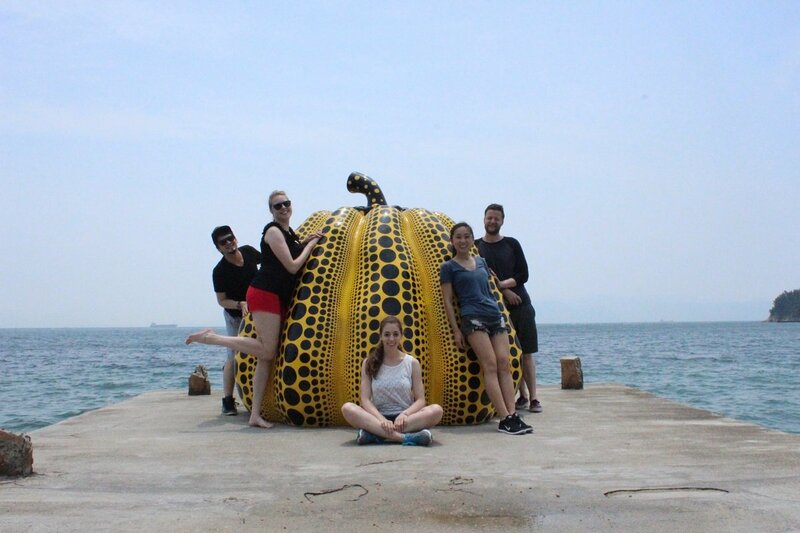 And we promise that even if you usually aren’t the type for sculptures, you can’t help but me impressed by what you’ll find on Naoshima Island. This morning you will take the Shinkansen train from Okayama to Hiroshima. 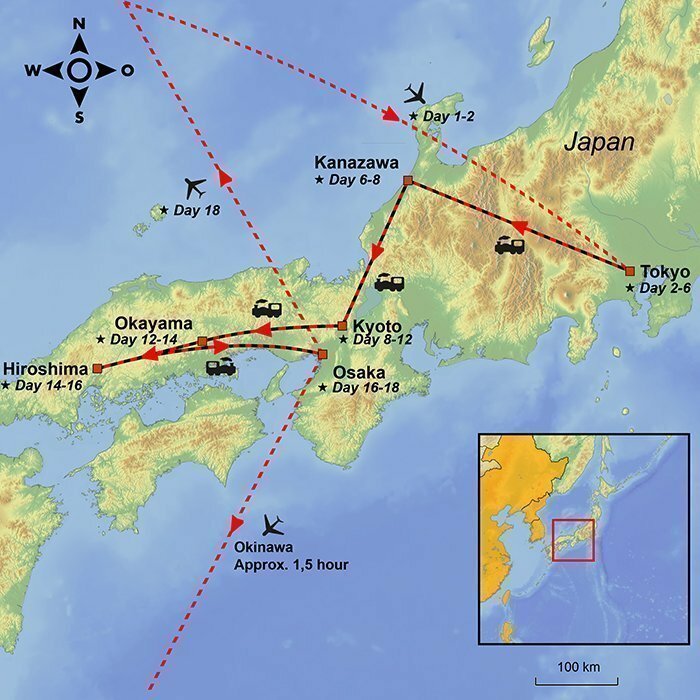 The 161-km journey from Okayama to Hiroshima takes only 40 minutes by train. On your arrival in Hiroshima, the guide will be waiting by the train to take you to the hotel. 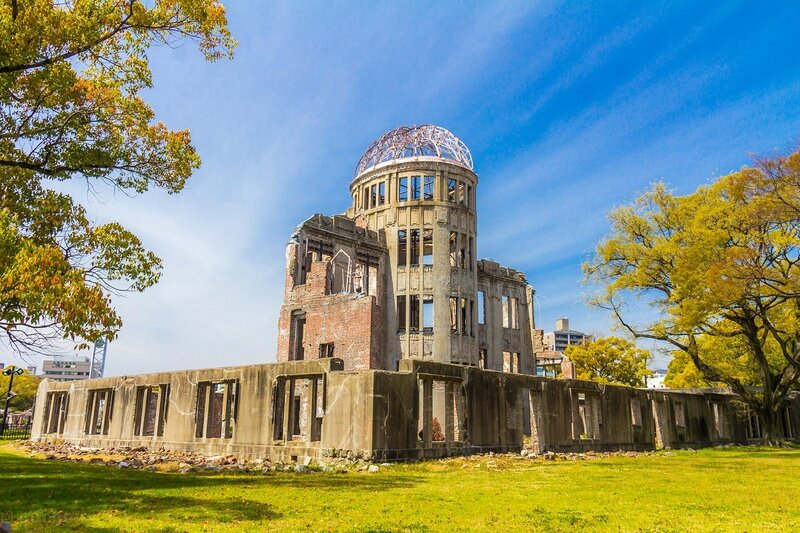 You will then go on a guided tour of the Hiroshima Peace Memorial Park. 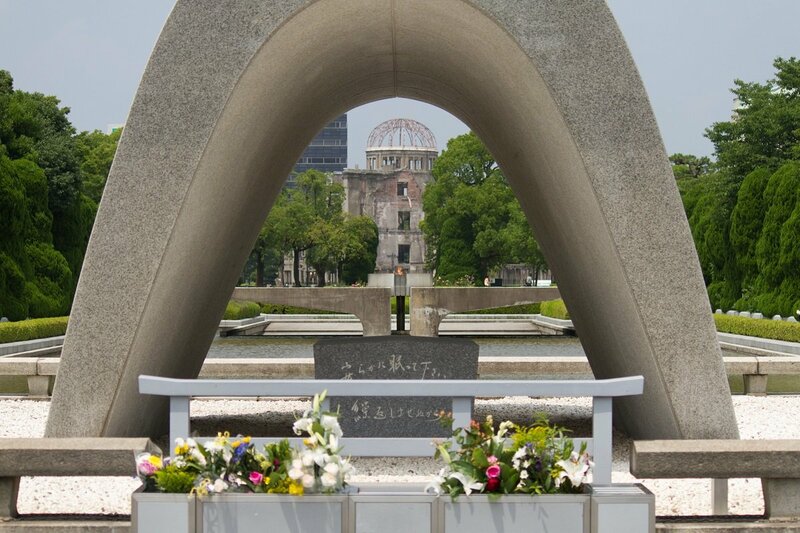 The park is at the heart of Hiroshima and is a memorial to the horrors of World War 2. The Atom Bomb Dome, the iconic domed, skeletal steel industrial building that remained after the attack, is at the heart of the park. 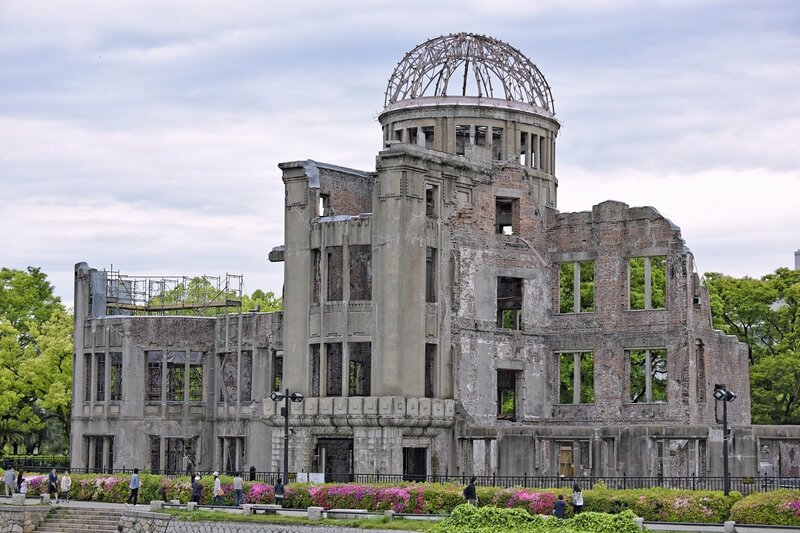 The building and its dome have been left untouched as a powerful symbol of the most destructive human force ever created, and as a powerful symbol of hope that it will never happen again. The Atom Bomb Dome was designated as a UNESCO World Heritage Site in 1996. The Peace Memorial Museum can also be found in the park, as well as the symbolic statue of the girl and the origami crane, The Children’s Peace Monument. After the visit to the park, the guide can either take you back to the hotel or give you directions for how you can get to Hijiyama Park on your own. Hijiyama Park is a good place to relax after the intense experiences of the Hiroshima Peace Memorial Park, and here you can take a walk or simply sit down and enjoy life. At the top of the park is a museum of contemporary art, which includes a good manga library for visitors interested in comics. We recommend an excursion to Miyajima. Miyajima is less than an hour away from Hiroshima, and is easy to reach to by public transport. 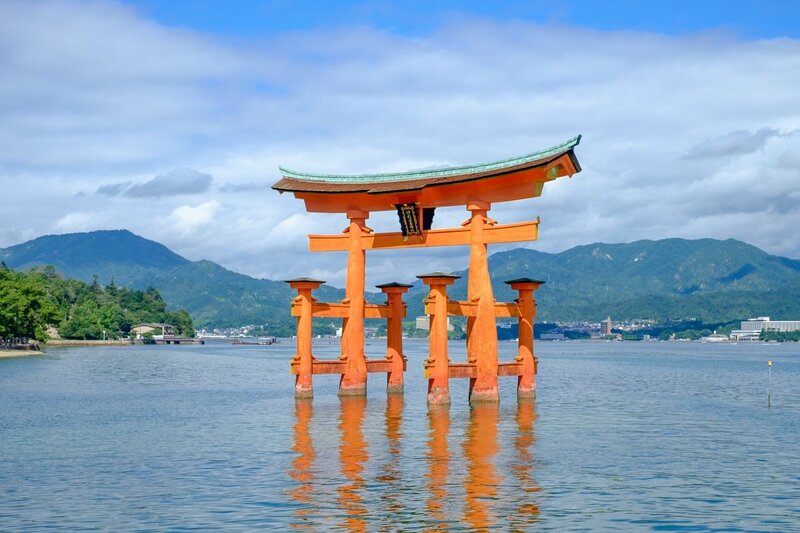 Here, stretching about 20 metres up from the water is Miyajima’s world-famous vermilion gate, and at high tide, it appears to float above the surface. When you get off the ferry at the island, whose real name is Itsukushima, you pass by some tourist streets with souvenir shops, small gift delicacy businesses and cafés until you reach the location where you can see the giant gate. 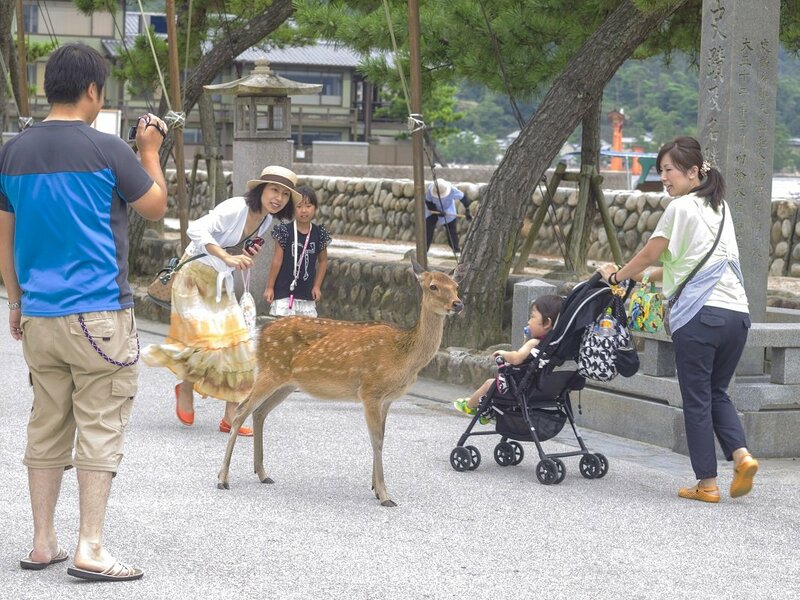 On the way, you are sure to encounter the island’s tame sika deer. Also on the island is Daisho-in, a Buddhist temple that is open to visitors. A peculiar trait here is that the Buddha figures are often depicted with scarves and hats on. You can also take the cable car to the top of Mt. Misen, which offers a spectacular view of Hiroshima and the inland sea, which contains over 3000 islets. Today you take the Shinkansen from Hiroshima to Osaka – the trip is 342 km long and takes an hour and a half. 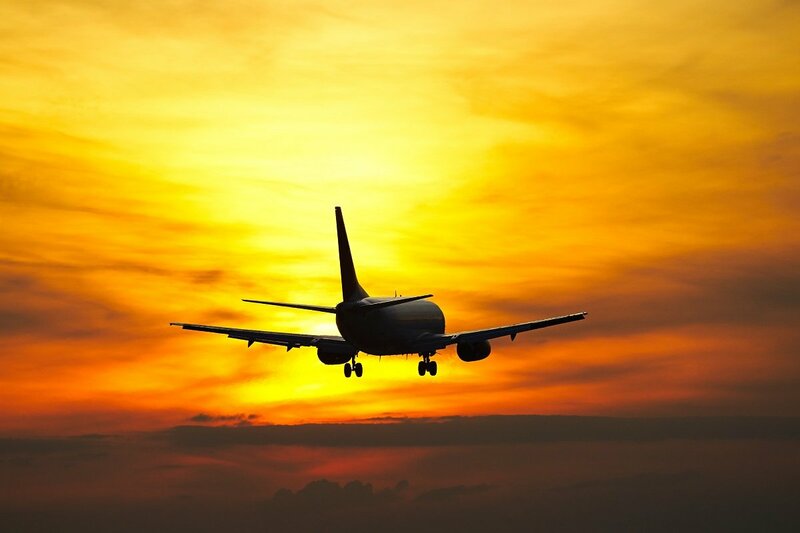 You are picked up at the train station and driven to your hotel. 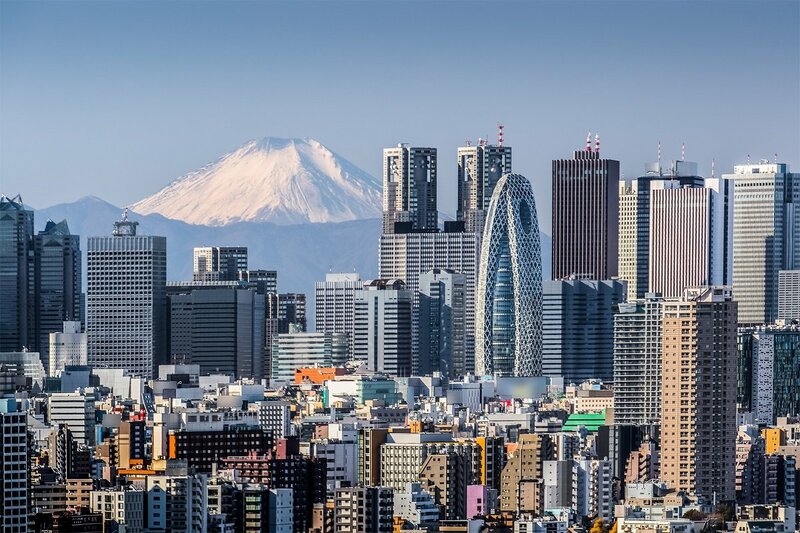 Osaka is Japan’s biggest financial powerhouse after Tokyo, and is home to an active business community in international trade and industry. Osaka was founded hundreds of years ago. It was bombed to ruins during World War 2, hence its appearance as a young city with modern buildings today. However, in some places you can still feel the traces of history. On the guided half-day tour, the guide travels with you by public transport to Osaka Castle, which stems from the era of the Shogun. The castle is a spectacular sight, and is one of Japan’s most beautiful castles from the outside. During the visit to the castle and its park you learn about the glory days of the shogun Hideyoshi, who had 100,000 men build his castle in 3 years. The castle has been burned down and rebuilt several times, the last time being in 1931. 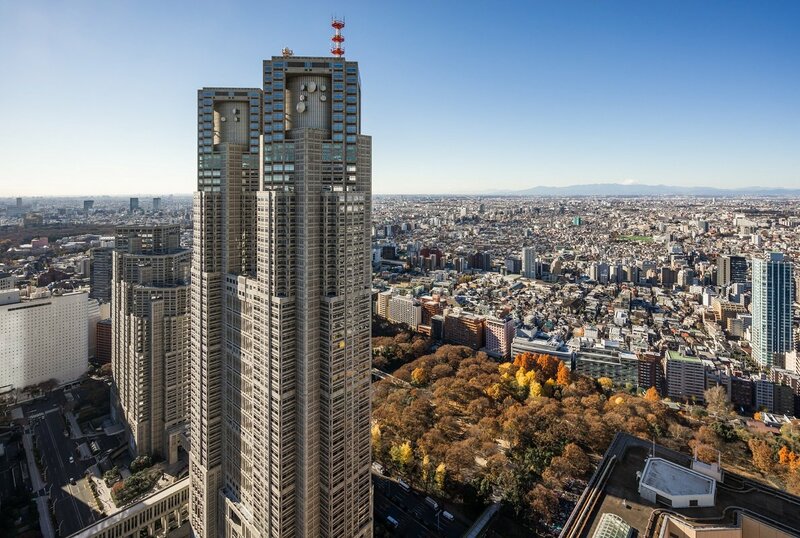 You get a gorgeous view of Osaka from the top floor. 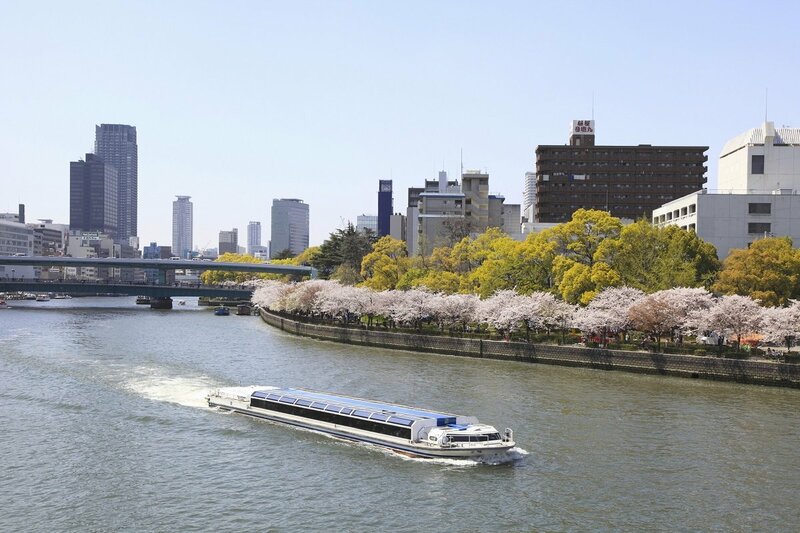 From Osaka castle, you take a short walk to the river, where you get on board the Aqualiner boat for a one-hour sightseeing tour of Osaka’s waterways. After the boat tour, the guide takes you back to the hotel. The rest of the day is at your leisure. The day is at your disposal to explore Osaka. A must-see is the city’s 170-metre-high landmark, the Umeda Sky building, designed by Hiroshi Hara, one of Japan’s great architects. From the rooftop of the building, you can enjoy a fantastic panoramic view of the city’s skyscrapers and countless bridges, and on a clear day, you can see all the way to Awaji Island. The basement of the building houses the Takimi-Koji gourmet street, which is decorated with photos of Osaka in the 1920s. 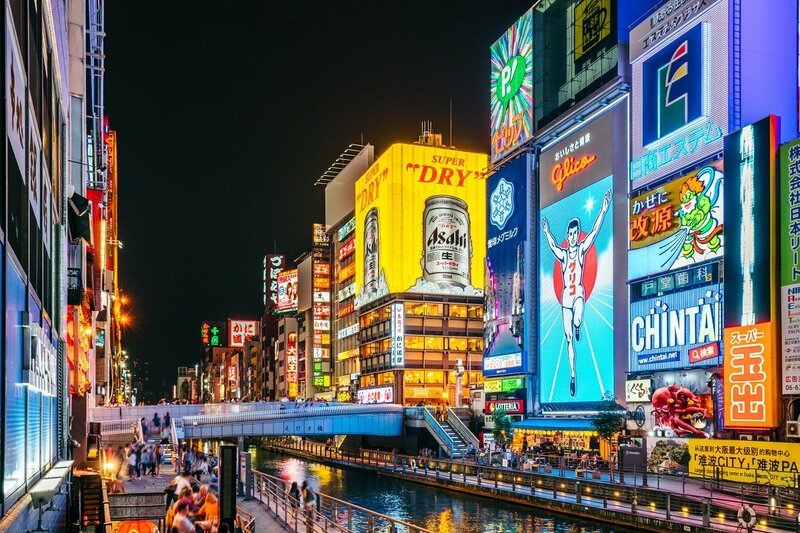 In the afternoon, you should walk to Dotonbori, a lively and colourful entertainment area – and one of Osaka’s most popular attractions. While away an hour or two looking at the all advertising and neon signs, people-watching and browsing in the labyrinth of shops and famous food stalls. If you would like to try some local specialities, we recommend kushi katsu, which is deep-fried vegetables and meat on skewers, or takoyaki, a ball-shaped snack made of batter and cooked in a special moulded pan. It is typically filled with octopus and leeks or spring onions. It’s time to say goodbye to Japan. We suggest you take the train to Kansai airport in good time. The train runs directly from Osaka station and takes approx. 70 minutes. You can use your Japan Rail Pass, however, tickets must be reserved in advance, which your welcome guide will help you with when you arrive on day 2. 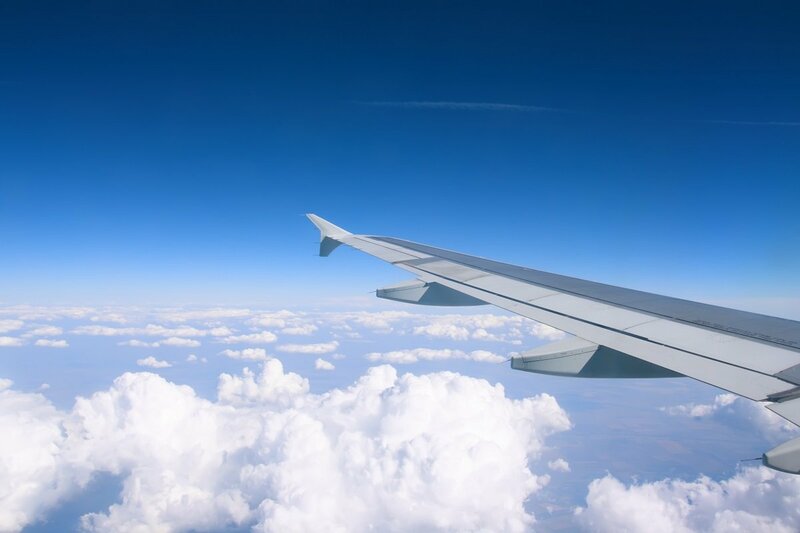 From Tokyo Airport, you fly to the UK with a stopover(s) on the way. You land in the UK after an eventful holiday. This extension to the holy mountain Koyasan gets you up close to the spiritual heart of Japan. 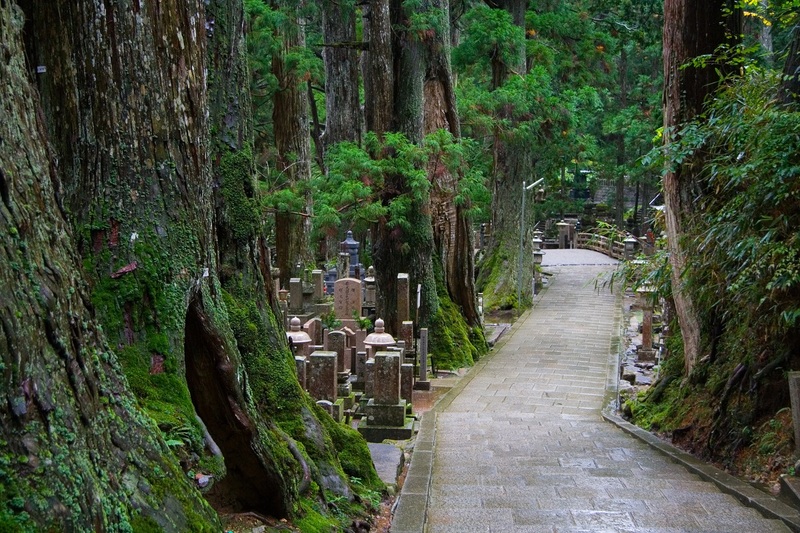 Koyasan is the centre of Shingon Buddhism and is one of Japan’s most sacred places. It is also included in UNESCO’s World Heritage List. A monk by the name of Kobo Daishi, also known as Kukai, introduced Shingon Buddhism to Japan in the year 805 AD. 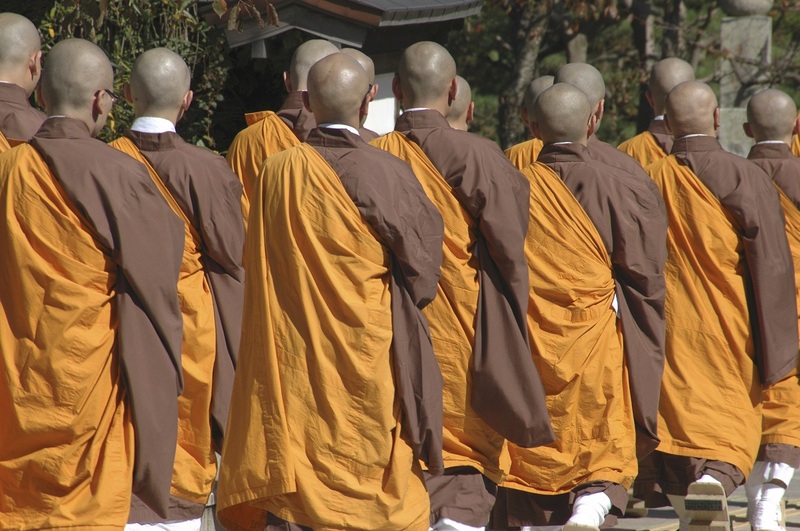 Shingon means “the true word” and distinguishes itself from traditional Buddhism with a system of teaching that is largely based on the unspoken rather than the written, and is primarily expressed in the form of ceremonies and rituals. 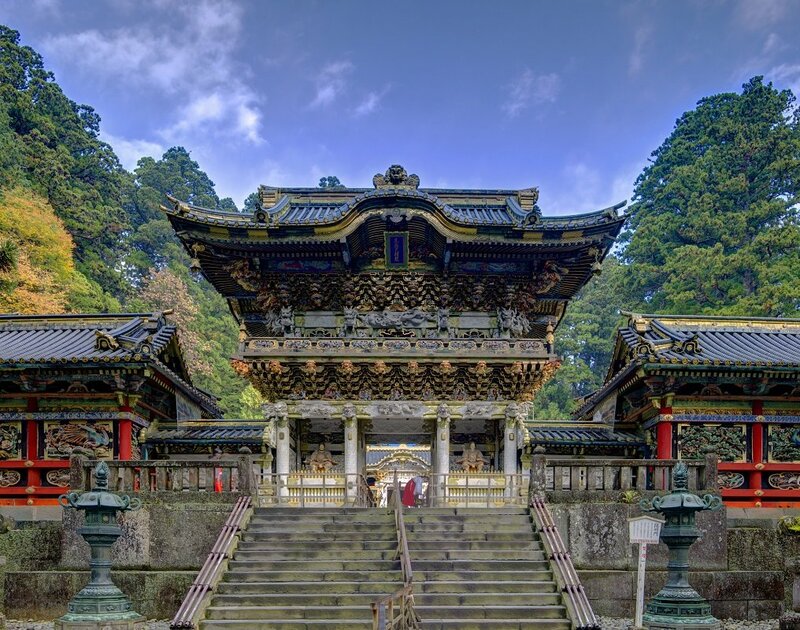 In 816 AD, Kobo Daishi founded the temple complex Koyasan, which is located on the forest-clad top of Mt. Koyasan in the lush national park of Koya-Ryujin Quasi. In Japan, temples are usually very restricted, but in recent years, the Shingon Buddhists have opened up to the outside world and invited curious souls in. This can be seen in how ceremonies and rituals used to be reserved for monks and male pilgrims, but today women and tourists can observe these and even spend the night in one of the temples. During your stay, you experience 1200 years of culture and history up close. You are spending the night in a Shukubo temple from the year 1211, where the monks, morning and night prepare a vegetarian, Buddhist meal for you, which is known as shojin ryori. 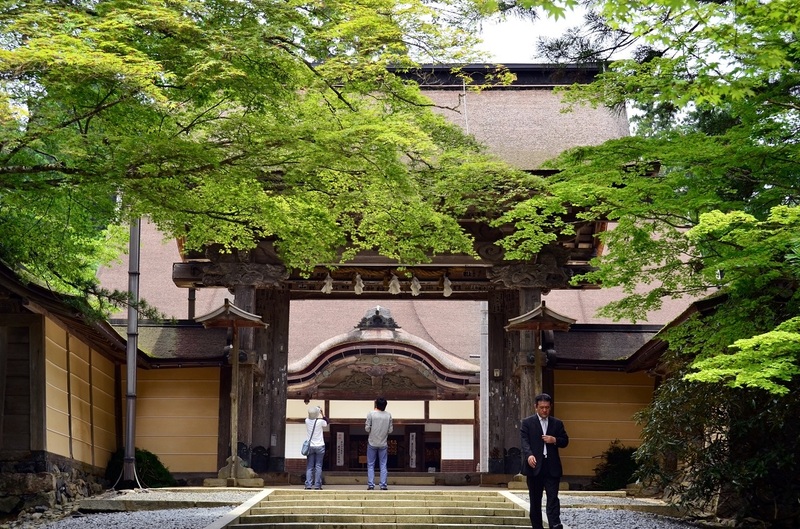 The days at Koyasan are at your disposal, and you can spend your time participating in the monks’ morning prayer and visit Koyasan’s temples, Kobo Daishi’s mausoleum and the beautiful pine forest, where the trees grow up to 20 metres high. You can also take a walk through the main street of Koya and observe the monks, who walk around and tend the green gardens. You can travel here throughout the year. It is just as beautiful here when the cherry trees are in full blossom as when the area is wreathed in fall leaves or snow. Koyasan has already hosted emperors, politicians and other people of high standing, so what are you waiting for? 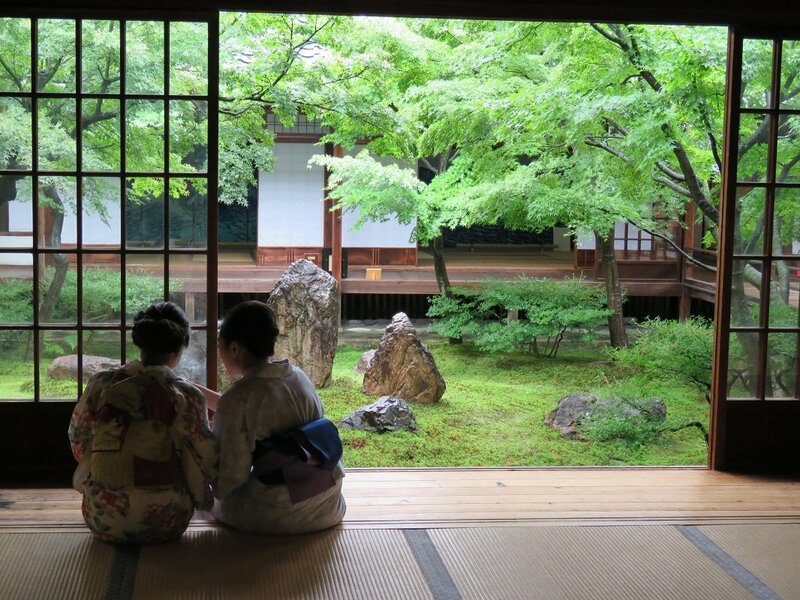 Come with us to the spiritual heart of Japan, where relaxation and calm are in focus. Northwest of Kyoto, along the coast of the Japan Sea, the charming town of Kinosaki Onsen sits in a valley surrounded by sea and mountain. In 1925, the city laid in ruins after a destructive earthquake and a harrowing fire. 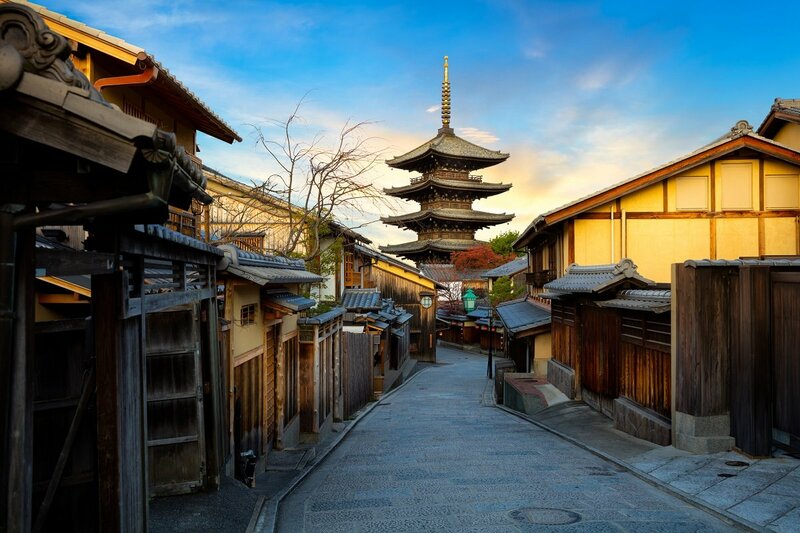 When the city was rebuilt, it was decided that they would hold onto the traditional architecture, and build traditional Japanese inns, also known as ryokan, instead of big, modern hotels. The city is also jam-packed with classic Japanese architecture, ancient traditions and popular onsen baths, which were discovered around the 8th century. Since then, the spa town has developed into a popular destination for both foreign and Japanese tourists. Onsen means “hot spring”. The water is heated by Japan’s many active volcanoes, which are spread across the country. Usually, the water is 80°C, but it is locally regulated down to 42°C. 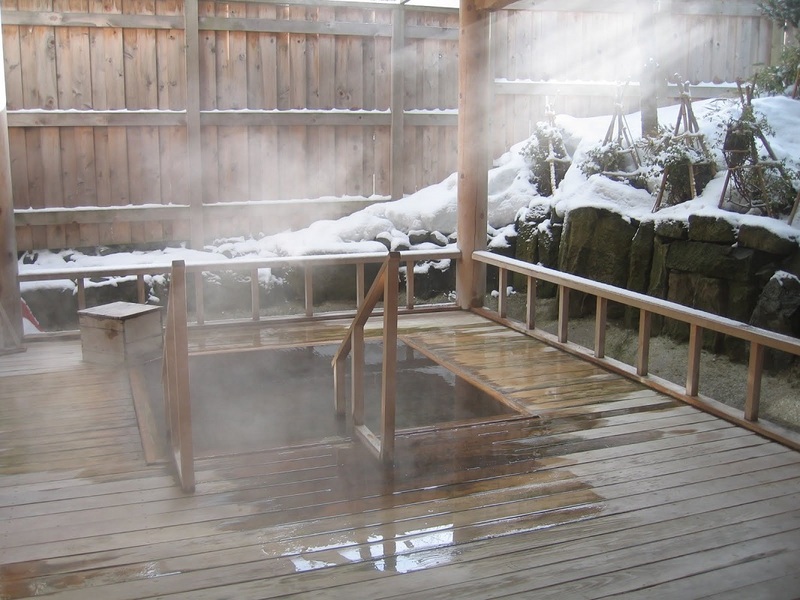 Onsen is said to have a range of health benefits. The hot water makes the muscles relax, and contains minerals such as sodium, calcium and chloride, which are good for fatigue, digestive problems, bruises and much more. 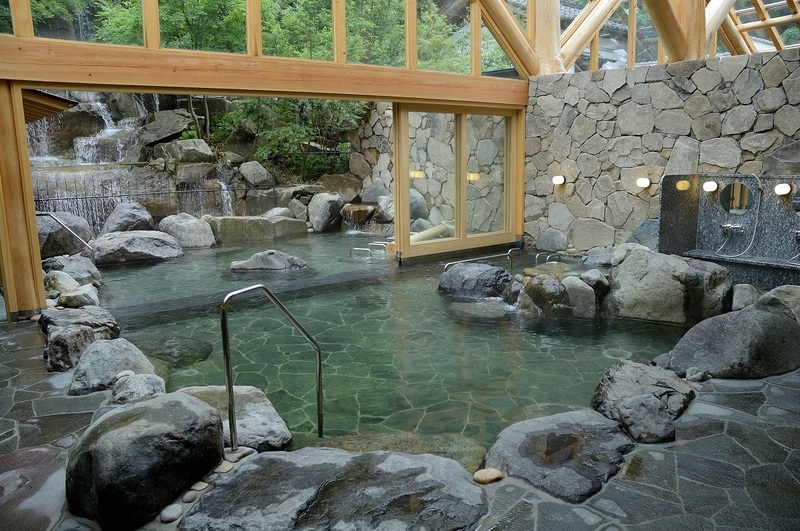 During your stay, you will have free access to the city’s seven onsen baths, each of which has its own unique properties. Fortunately, these are close to one another, and are in walking distance from both the train station and your ryokan. Once you have had enough bathing, you can take a stroll along the city’s river, where there are beautiful willows and cherry trees. To get the feeling of Japanese culture, you can put on a gorgeous, traditional kimono and immortalise the image with a photo on one of the lantern-lit bridges that help give the town its pleasant, romantic atmosphere. 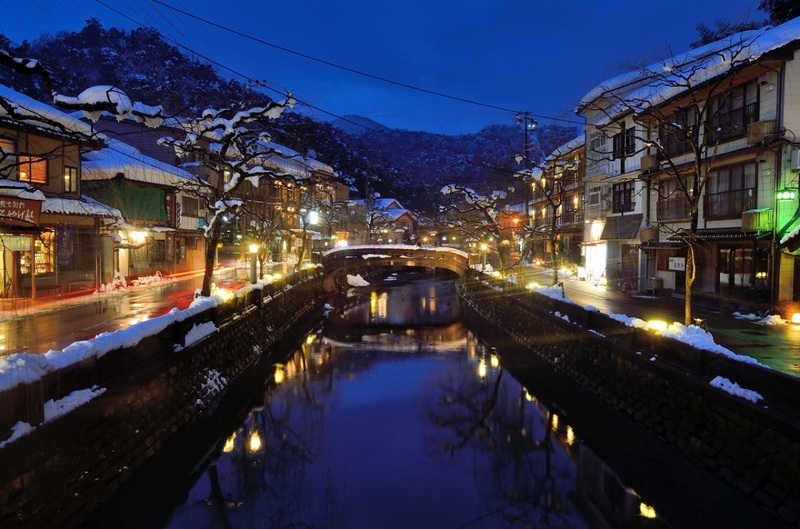 Kinosaki Onsen is beautiful no matter what time of the year you go there. In the spring, you walk beneath soft, pink cherry blossoms, and in the fall, lush orange-red fall leaves paint the town. Winter gives the town a completely unique appearance, when fine powder snow settles on the town’s traditional buildings and lush trees. In the summer, you can experience night festivals and enjoy the sight of the many green willow trees along the river. The days are at your disposal in this beautiful town full of Japanese traditions and culture. The trip ends with a night in Osaka. 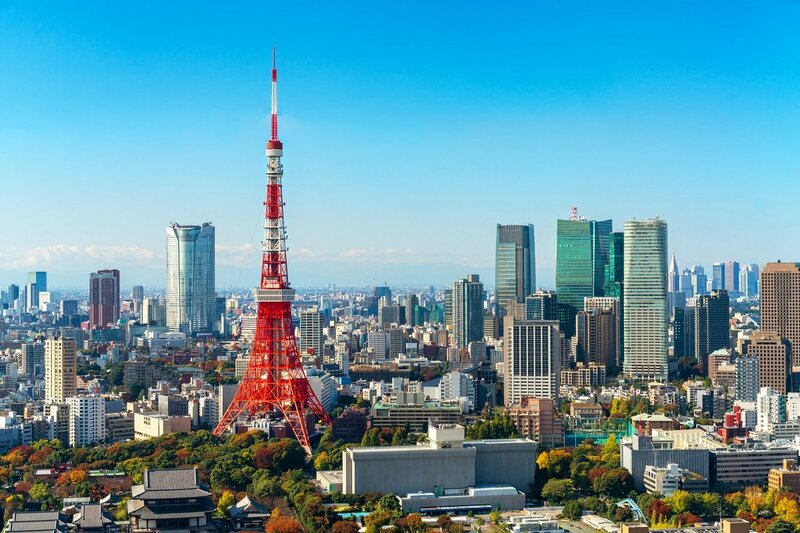 Experience Japan’s contrasts from Kyoto’s old culture and shrines to Tokyo’s hyper-modern architecture and lifestyle.